Reasonable adjustments should be provided to allow awardees with disability to participate in their Scholarship on an equal basis with all other awardees. The Australian Government is committed to the rights of people with disabilities to have the same opportunities and benefit equally from Australia’s development program. This commitment is reflected in the Australia Awards Scholarships program. In line with the Australian government’s Development for All 2015–2020: Strategy for strengthening disability-inclusive development in Australia’s aid program, Australia Awards in Indonesia continues to increase access for people with disabilities to the learning and professional development opportunities through Long Term Awards and Short Term Awards. 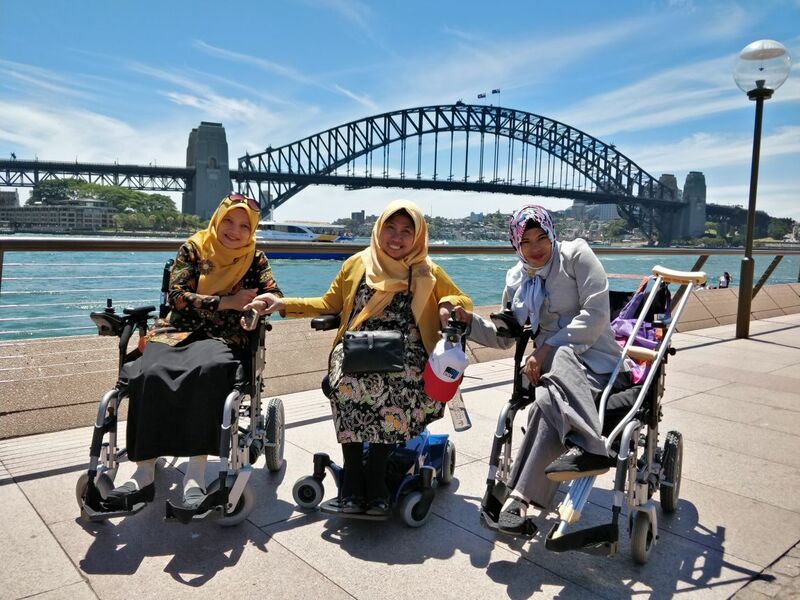 Support for awardees with disabilities has also been increasing over time and Australia Awards continues to mobilise the largest number of Indonesian Awardees with a disability to Australia so far. People living with disabilities will receive additional support to ensure they are able to participate in all phases of the Scholarships cycle including the application, selection and mobilisation processes, living and studying in Australia, and as an alumni on their return home. More information on the Australian definition of disability and the rights of people with disability in Australia is available on the Australian Human Rights Commission’s website. DFAT’s Development for All strategy commits the Australian aid program to meeting the needs and priorities of people with disability. In line with this commitment, Australia Awards strongly encourages applications from people with disability who are otherwise eligible for a Scholarship. Since the 2013 round, the number of people with a disability applying for Australia Awards Scholarships has increased by almost 140%. However, the pool of eligible applicants in Indonesia with disabilities is quite limited compared to the high numbers of people living with disabilities in the country. English language ability presents as one of the major barriers for prospective applicants with a disability. This year, Australia Awards pilots the English Language Training Assistance (ELTA) program for potential applicants of the Scholarship. This program assists potential candidates whose English language levels were slightly below the requisite English level (IELTS level of 5.0 or TOEFL 500 equivalent for applicants with disability and applicants from the Geographic Focus Area ), in order to help them achieve eligibility to apply. The ELTA program was originally provided to applicants in the Geographic Focus Areas (GFA) of Nusa Tenggara Barat (NTB), Nusa Tenggara Timur (NTT), Papua and Papua Barat who experience similar barriers in terms of English language capability. This model proved successful, and therefore is now applied to prospective applicants with disability from all provinces in Indonesia. Please note the English Language Training Assistance for People with Disabilities (ELTA PWD) is now closed and will reopen next year. For further information on ELTA for GFA and FAQ on ELTA, please click here. Applicants with disability need to disclose their disability in the application form. Australia Awards will provide reasonable adjustment for applicants with disability during the process of shortlisting and selection process. All successful applicants to Australia Awards Scholarships are required to attend Pre-departure Training (PDT) courses, including those with a disability. For awardees with disability, "reasonable adjustment" is provided on the basis of the creation and implementation of Disability Support Agreements (DSA). The Australia Awards Disability Support process begins with a Disability Assessment, covering key themes including transport, accommodation, care, communication and academic environment. Based on this assessment, a Disability Support Plan is created through a consultative process, culminating in a DSA between the awardee and DFAT, to be implemented by the host university in Australia. Australian education providers are obliged to make "reasonable adjustment" to the learning environment to support the full inclusion of students with disabilities for equal opportunity. The adjustments are made from an agreed assessment prior to mobilisation, after which a support plan is developed. After successfully completing their study, the awardee will become a part of a bigger and more inclusive Australia alumni community. Alumni will get many opportunities to be involved in various activities such as professional development, networking events, guest lectures and more. When attending related events, alumni with disability are requested to notify Australia Awards to accommodate support needs. Alumni will also get membership access to the Australia – Indonesia Alumni Forum on LinkedIn, a place for alumni to connect with each other, facilitate business opportunities, share knowledge and exchange ideas, obtain information about employment opportunities as well as take part in professional development activities in a national and a global scale.